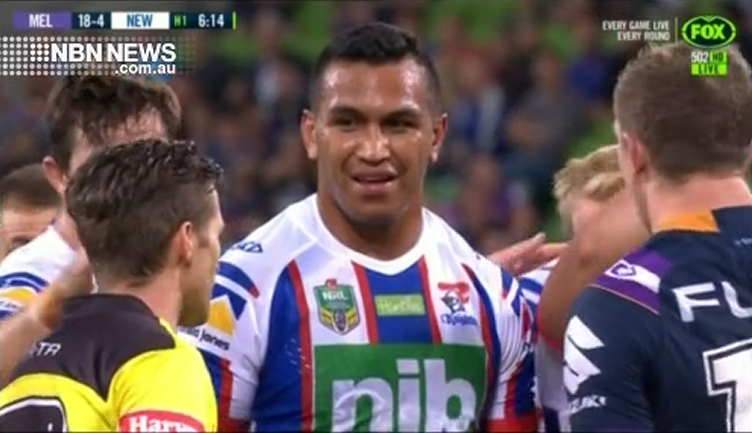 Newcastle Knights player Jacob Saifiti has been fined by the club, over last month’s fight outside a Hamilton pub. It’s understood the frontrower has been slugged $50,000 – with half of which being suspended, pending a number of conditions. Saifiti broke his leg in the incident. A 28-year-old man has been charged, and is due to face court next week. Next article15-MINUTE PARKING TICKETS NO MORE…UNLESS YOU HAVE AN APP!